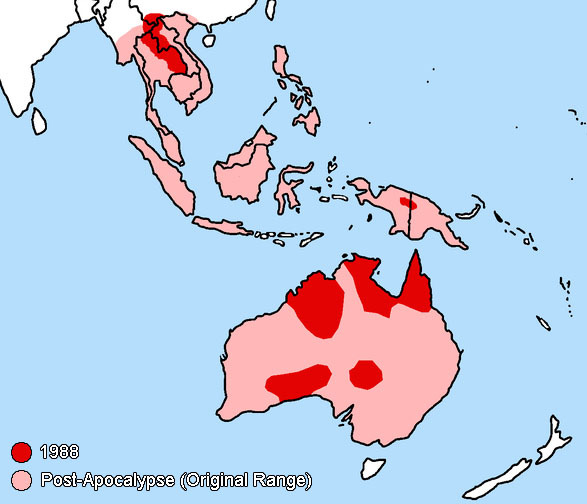 Throughout Australia and parts of southeast Asia. Dingoes have a relatively broad head, a pointed muzzle, and erect ears. Their eye colors are usually yellow, orange, or brown. Compared to other similarly-sized domestic dogs, dingoes have longer muzzles and longer canine teeth; they exhibit sexual dimorphism as seen in the Common Gray Wolf and most other canine species. The average shoulder height for a dingo is 20 - 24 inches (52 - 60 cm); the average length from nose to tail tip is 46 - 48 inches (117 - 124 cm). Dingoes typically weigh between 28 - 66 pounds (13 - 27 kg). Dingoes from the North and the North-West of Australia are larger than Central and South-Australian populations. Australian dingoes are invariably heavier than Asian ones. The fur of adult dingoes is short, bushy on the tail, and varies in thickness and length depending on the climate. The dingo usually boasts a fur coloration ranging from sandy to reddish brown, but can include tan patterns and occasionally black, light brown, or white. Completely black dingoes were prevalent in Australia in the past, but have been sighted only rarely in recent times and are now more common in Asia than in Australia. Most dingoes are at least bicoloured, with small white markings on the chest, muzzle, tag, legs, and paws being the most common feature. In the case of reddish individuals, there can be small, distinctive, and dark stripes on the shoulders. All other color and color-patterns on adult dingoes are regarded as evidence for interbreeding with other domestic dogs. Although dingoes are usually seen alone (especially in areas where they are persecuted), most belong to a social group whose members meet from time to time and are permanently together during the mating season in order to breed and raise cubs. Dingoes are generally highly social animals and form, where possible, stable packs with clearly defined territories, which only rarely overlap with the territories of neighboring packs. Intruders are mostly killed. These packs as a rule consist of 3–12 individuals (mostly the alpha-pair, as well as the current litter and the previous year's litter), who occupy a territory throughout the whole year. Dingoes tend to be nocturnal in the hottest parts of their region, though diurnal behavior is exhibited by those who live in cooler regions. The dominant female in a group is the only one to reproduce; she will actively suppress subordinates from reproducing, and if they do produce children, she will more than likely kill them. 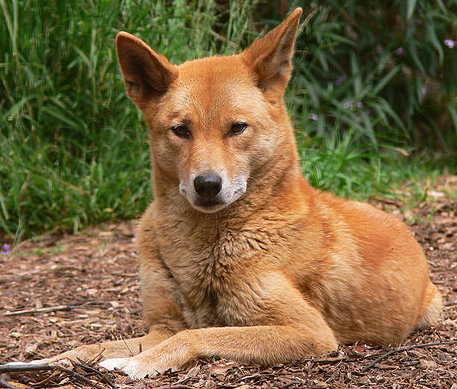 Dingoes are capable of going into heat multiple times per year, but can only become pregnant once. Their reproductive cycle mirrors that of the Gray Wolf. Dingoes are found throughout Australia save for the most arid parts of its interior desert, and on some scattered islands in Southeast Asia, as well as some parts of extreme southeast mainland Asia. Dingoes are highly adaptive and can survive in various different climates and on various different types of prey. 170 species (from insects to buffalo) have been identified as being part of the dingo diet. In continent-wide examinations, 80% of the diet of wild dogs consisted of 10 species: Red Kangaroo, Swamp Wallaby, cattle, Dusky Rat, Magpie Goose, Common Brushtail Possum, Long-haired Rat, Agile Wallaby, European rabbit and the Common Wombat. In certain areas, they tend to specialize on the most common prey, with a preference for medium to large sized mammals. Non mammalian prey is irregularly eaten and makes up only 10% of the dingo's diet. Big reptiles are only rarely captured, at least in Eastern Australia, although they are widespread. It is possible that especially big Monitor Lizards are too defensive and well armed or simply able to flee fast enough into dens or climb trees. 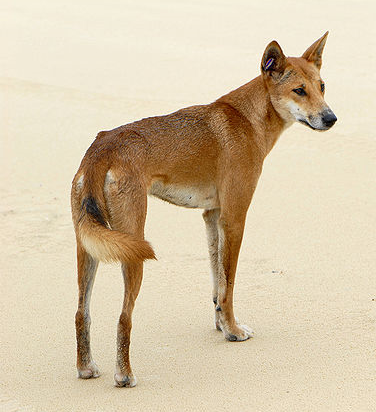 Dingoes were common prior to the extinction of humanity, and afterward, they experienced a population explosion, spreading to many of the islands they had been extinguished from in Southeast Asia. Their numbers flourished, and they spread out from their homelands, picking up various Luperci traits and humanized lifestyles along the way. Dingoes can be seen in some parts of Europe and northern Asia, though they prefer to stay away from extremely cold zones. 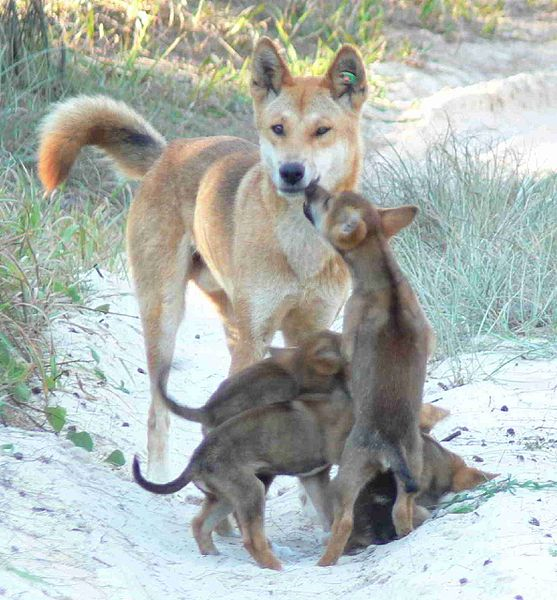 In their home range, many Dingoes have not yet become Luperci, but it is not an altogether absent phenomenon. Many dingoes along the northwest coast of Australia have interacted with sailors from Eurasia and the Mediterranean; it has spread inland to some extent, but the most humanized lifestyles can be found along the coast.